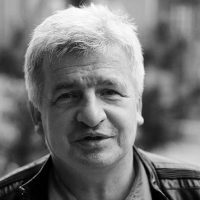 Piotr Ikonowicz is a special adviser to the Palikot movement, which was the third political force at the Polish legislative elections of October 2011 and which aims at reshuffling the liberal, social and green agenda of the Polish left. With one of the highest growth rates in the European Union, the Polish economy seems to escape the crisis. But there is another side of the coin. The Polish are working more and more but earning less. This is the result of a practical obligation to systematically work overtime during weekends and the impossibility of taking annual leave. But what is the social impact of this inequality?